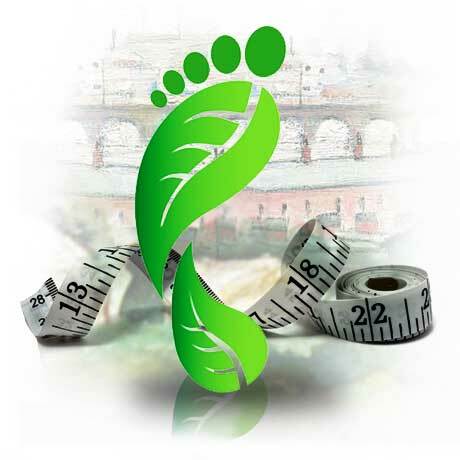 associated with the carbon footprint of a funeral [if you are unsure of these activities please Click here] then you can look to reduce the impact on the environment of those activities. •	Can I get the guests to car share in order to reduce the emissions due to traveling to the funeral? •	What services from the Funeral Director should I use? •	What kind of and how many flowers should I use? •	Is the coffin used made from environmentally friendly material / ethically sourced? •	What local suppliers of flowers, food and other items are there that you could use? All of these points if explored carefully could have a positive impact on the carbon footprint of the funeral. Alternatively by selecting to add the Greener Goodbye option to a funeral service we have already done much of the work for you. Through our simple Three Steps process we have been able to rebalance the carbon emissions associated with the funeral service as well as make a positive impact on the environment through tree planting / preservation and also our work with the Groundworks Green Doctor programme to produce a community legacy.